Change: something that strikes fear in the heart of some, and excitement in others. For me change causes both of these emotions- it’s scary and magical at the same time. In January I decided I needed a drastic change and made the cross-country move from Portland, Oregon to Nashville, Tennessee. I’ve been here 5 months now, and it’s been the hardest yet most fulfilling experience of my life. I had never moved away from my hometown before, and living thousands of miles from your family is a lot different than living down the road! 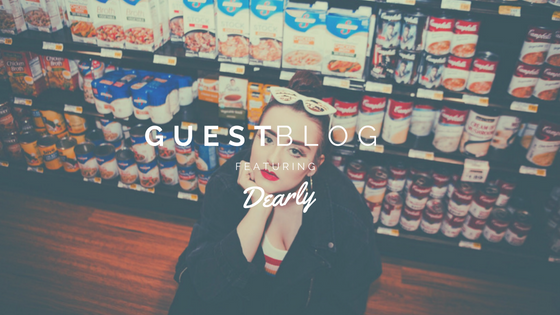 Along with this change of scenery, I recently launched my new music project “Dearly”- with a dreamy debut single called “Get With You Alone”. I spent years as a musician going under my own name, Amanda Jones, but have grown significantly as an artist and a person and felt like I needed a complete rebrand to really do my new music justice. I couldn’t grow anymore; I was stuck, and this change felt so effortless and true to me. Change is good- it can be scary, wonderful, fun, tiring and anxiety-filled all at the same time- but I would highly recommend embracing change in your life. It’s worked wonders for me, and you never know what it can do for you. Go on that date, sing that song, write that book- change is good: embrace it.